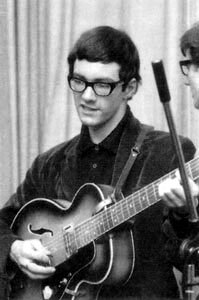 Paul Atkinson began his career in music right out of school as guitarist for The Zombies. The band enjoyed an initial period of success with songs such as 1964's She's Not There, but by 1967 frustration with the music industry brought about its demise. Atkinson initially moved on to computer programming, but eventually returned to music as an A&R man, working for a time with Columbia and later becoming vice-president of West Coast A&R for RCA. He was responsible for signing such acts as ABBA, Judas Priest, and Mr. Mister. UCLA Medical Center, Santa Monica, CA.